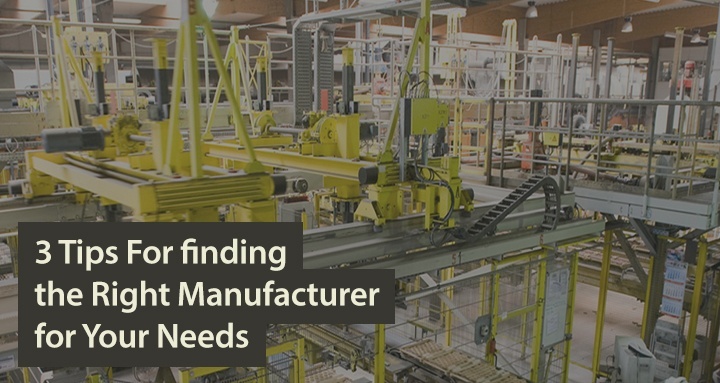 There are many manufacturers available on the market and this can present a challenge when you need the right manufacturer for your manufacturing requirements. It is important to weed through the marketing hype and buzzwords to get down to what a manufacturer can do for you. Making a selection based solely on cost is not wise as while looking at price only, these prices can mean poor quality, late deliveries, freight and more. In most cases, the end cost is much higher than anticipated, and the domestic quoted part price when only analyzing piece part prices. Intangible costs need to be considered. When considering a particular manufacturer, it’s important to consider their overall experience and reputation. The more experience the manufacturer has, the better your odds of them being able to meet your specific requirements. Additionally, it’s important to research them online - see what other customers have said about the manufacturer and their experiences with them. Admittedly, this is somewhat of a judgment call but while all manufacturers are customer-centric, you need one that puts the same level of emphasis on your project that you do. Simplistically put, do they want your product design tailored to their process capabilities or are they matching their capabilities to your design? This is a good conversation to have up-front. Naturally, when it comes down to the actual manufacturing, there is some give and take but a manufacturer who is willing to work with you so your product is of the highest quality while remaining cost effective offers a much better opportunity than one who does not. It can not be understated: communication, communication, communication. This means more than a sales call. You want a manufacturer that communicates with you every step of the way. Finding a quality manufacturer is not a "fire and forget" scenario. From design to final delivery, you need to be kept in the loop. How well a manufacturer communicates is an illustration as to how much value the manufacturer puts on you, as the customer. Do they only communicate problems? Or do they offer solutions? Communication is absolutely vital and this is your product they are manufacturing so you most certainly should be up to speed on its progress. Regardless of your project's size, your project is important to you and it should be important to your selected manufacturer. You want someone who treats your manufacturing needs as their needs and someone who will work with you to develop solutions. In addition, you want the most experienced manufacturer possible as they have the knowledge and skills to get your job done effectively and efficiently.